I have a problem. I love mini sets. So many great colours all together in one place! A colour to suit any mood or any event! Yay, mini set! 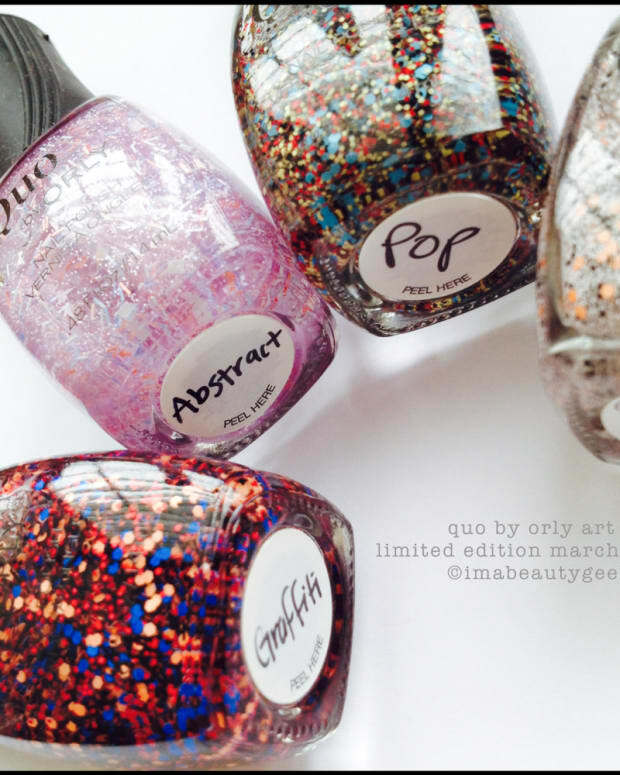 And there’s good news with the Quo minis that are packed into this Quo by Orly 18 Piece Holiday Nail Polish Set: all the shades can also be purchased individually in full size bottles. Happy, happy! But Wait. There in the middle. 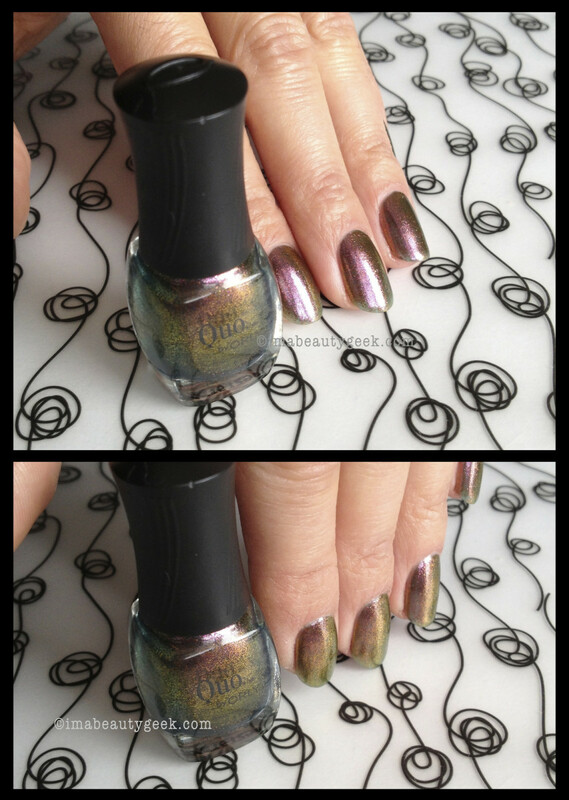 There in the top row of the Quo by Orly 18 Piece Holiday mini set – is that a duo-chrome? Is it? Is it? It is!! 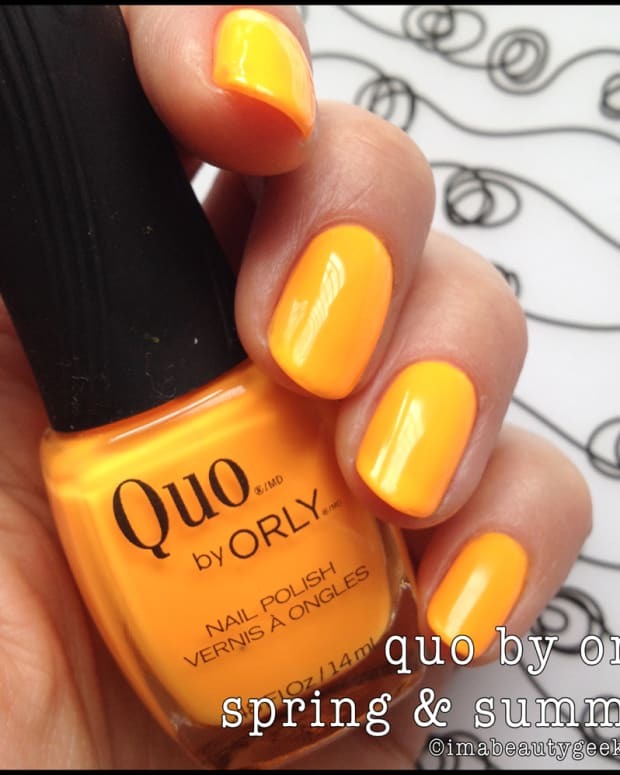 Quo by Orly Wrong So Right I wonder if there’s a support program for people who are addicted to duo chromes. 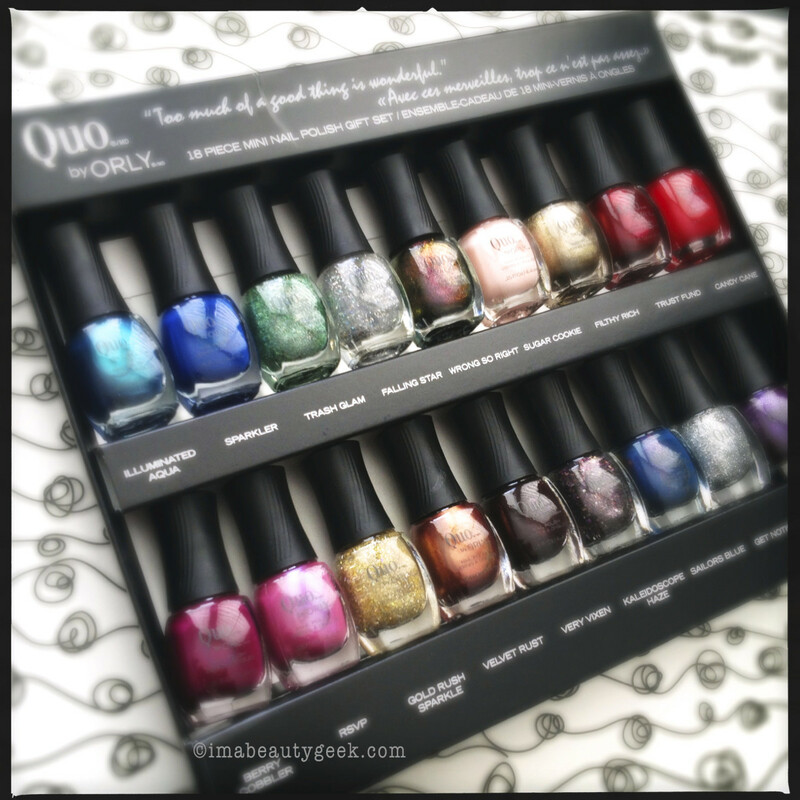 Available now, the Quo by Orly 18 Piece Holiday Nail Polish Set of Quo minis is a $40 Shoppers Drug Mart exclusive.